Just made the slideshow for Mission Sunday at church. I attempted this feat only because Julie the Video Queen is away at college and everyone else in the house is too busy for me to ask. 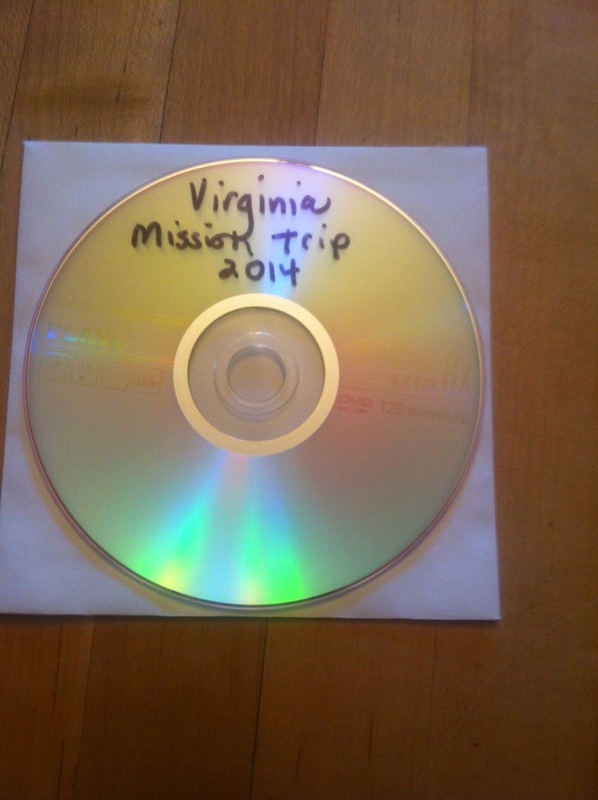 It took me many hours to sort through all the photos that I took or had been sent to me from our week of service in rural Virginia this summer, still more hours choosing the music and arranging everything in a pleasing order. Finally, this morning, I finished, and burned the DVD on my computer. I burned two, just in case. Whew, done with two days to spare! So of course when I tested it out in a DVD player, the ominous words “Unknown Disc” appeared instead of the cute pic of Liz holding a live crab. Didn’t read the DVD at all. I went home then and tried it on our home machine—same result. But then, when I put the backup in, lo and behold it worked. Problem is, I don’t know why it worked with one and not the other. I’ll make a copy of the copy to bring to church, but have a sinking feeling the congregation will be treated to “Unknown Disc” again. Why? Because that’s just the way I roll. 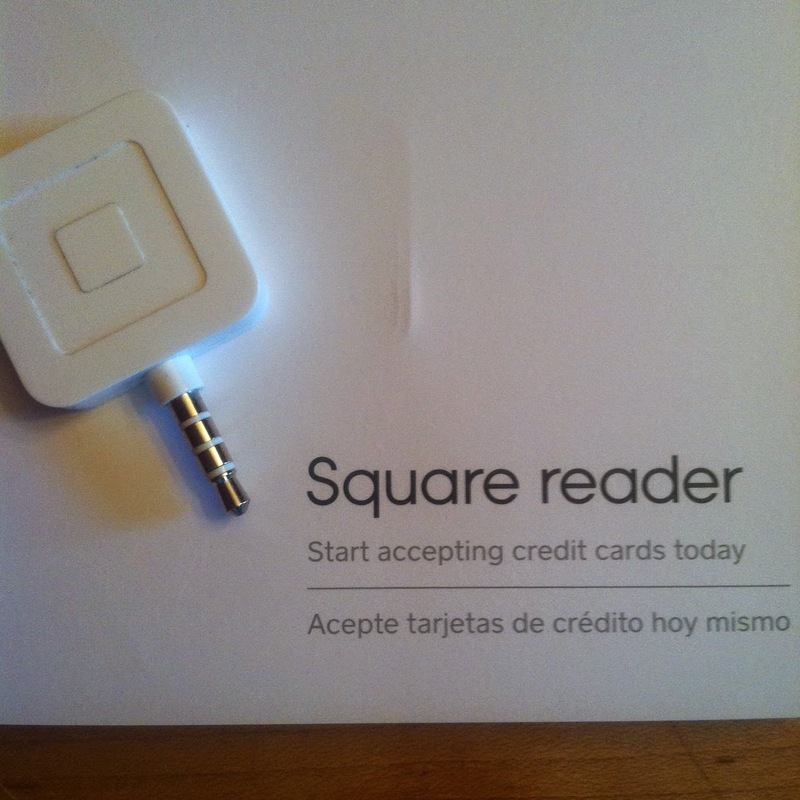 I bought a Square credit card reader a few weeks ago. These handy little gadgets attach to your iphone and enable you to accept credit cards, something I’ve really wanted to do when I have speaking gigs and sell my books. So yesterday I spoke to the Huntingdon Valley Women’s Club, a lovely group of ladies. At presentation’s end, my first customer approached with a Mastercard in her hand. Zip! The card slid easily through the reader. The next screen prompted the buyer to sign on a line with her finger. But as soon as she touched the screen it went black, and however hard I tried I couldn’t find the signing screen again. Meanwhile, other women who were lined up and patiently waiting, started to fish for their checkbooks and cash, because it was clear this technology, too, was failing me. Easy breezy? Not so much. Cheap boom box or the very expensive projector I (try to) use for Confirmation class—it doesn’t seem to matter. When I need it to work, it lets me down. Every single time. I swear I emit a magnetic field or something that causes machines to go haywire in my presence. And often, the very next person to try, can get whatever it is up and running again. It doesn’t bode well for me, because the technical innovations continue to develop at a dizzying pace. I have to find a way to break the curse, or many more major malfunctions will plague me. It’s hard to reason with a machine, but maybe I need to try. Pretty please, Mr. DVD player? I’ll dust you off! I’ll buy you some nice new batteries! I’ll feed you your favorite movies! Whatever you want—just work on Sunday, OK?